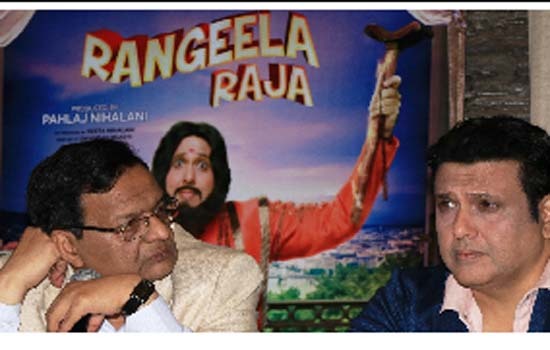 Mumbai: PahlajNihalani’s upcoming Hindi feature film 'Rangeela Raja' featuring Govinda, Shakti Kapoor, DiganganaSuryawanshi is facing rough weather with Central Board of Film Certification (CBFC). The film has been given 20 cuts by the censors for which ex CBFC chief and veteran filmmaker PahlajNihalani has filed a case against it in Bombay High Court through his advocate Ashok Saraogi. A press conference was organized on Saturday 10 November 2018 in Sun N Sand Hotel, Juhu, Mumbai, where the media personals were shown the scenes which have been given cut by the censor board.